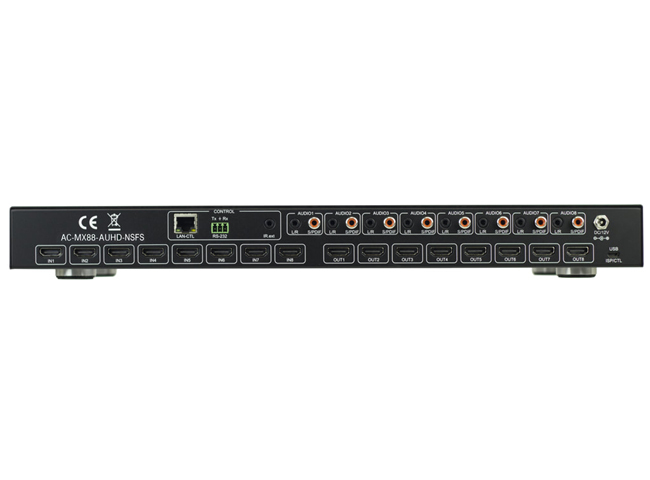 AVPro Edge AC-MX88-AUHD-NSFS 18Gbps True 4K60 HDMI 4x4x4 8x8 Matrix Switcher is a true 18Gbps 4K60 (4:4:4) 8x8 HDMI matrix switch. Supporting HDMI 2.0(a/b), HDCP 2.2, up to 4K video resolution, and up to 18 Gbps bandwidth. This switch allows any source (Blu-ray, UHD Blu-ray, satellite receiver, game consoles, PCs, etc) to be shown on any of the connected displays. This matrix equalizes and amplifies the output to ensure the HDMI signal can be transmitted through long HDMI cables without loss of quality. 18Gbps 4K60 : This EXCLUSIVE AVPro Edge technology allows you to switch the highest possible output from the latest sources used today. Apple 4K, Roku Ultra, Sony PlayStation 4 Pro, Microsoft's XBOX ONE S, and the newest UHD Bluray players are all outputting signals that most legacy video distribution systems are not able to handle. This switch was built to work with every source listed here plus many many more. Faster Switching : This is AVPro Edges fastest switching matrix on the market. The NSFS stands for "No Scaling, Faster Switching", and that boils this matrix down perfectly. We have removed the scaling feature that we have on our other 18Gbps switches in order to deliver the fasting swithcing 18Gbps matrix switch on the market with switching speeds up to 2-3 seconds between a switch. 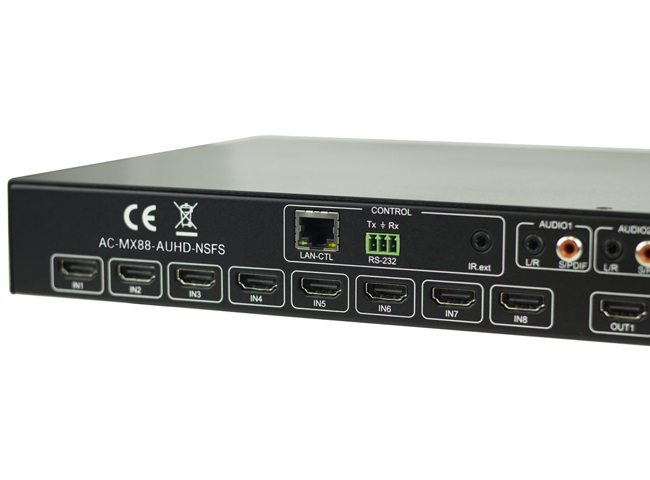 Dual Audio De-Embedding : The user can extract 2 Channel PCM audio from each output (SPIDF or 3.5mm jack) NOTE: the Audio Ports only supports 2CH PCM - for down-mixing check out AC-ADM-AUHD or AC-ADM-COTO. 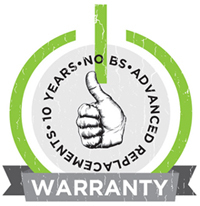 Driver SupportfFor Crestron, C4, RTI, ELAN and more! 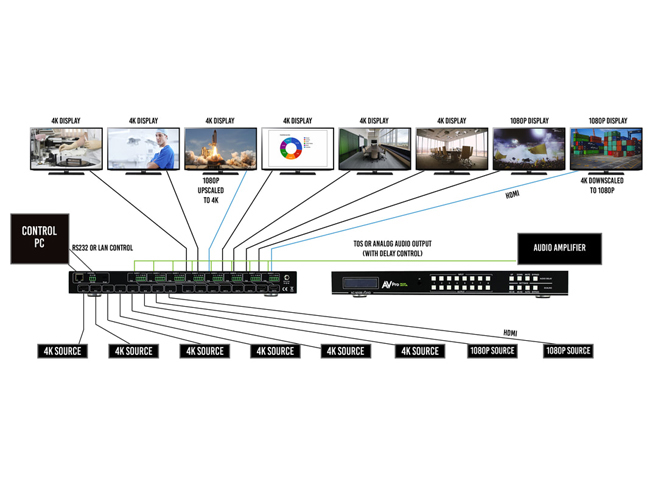 Why not buy this AVPro Edge AC-MX88-AUHD-NSFS 18Gbps True 4K60 HDMI 4x4x4 8x8 Matrix Switcher today?